While it was originally intended as a one-time event only, inquiries about this workshop have continued to pour-in, whether directly to me or through my friends. We have done three (3) succesful sessions and yet people are still asking. I guess that's proof how much digital photography has caught the interest of a lot of people. 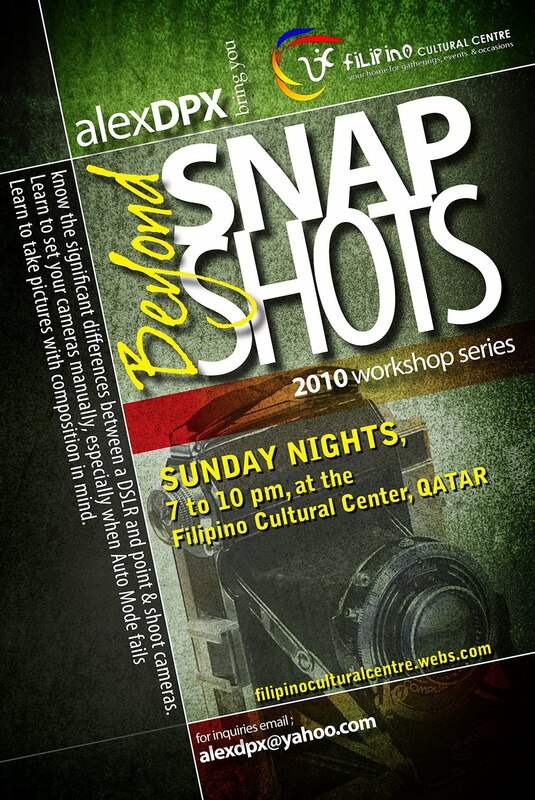 Because of this, I have decided, in cooperation with the Filipino Cultural Center (FCC) in Qatar, to make this a regular weekly event. So for those who are interested, just read on for more details. 1 Session, approx. 3 hours, QR 150 per head inclusive of refreshments and workshop module (pdf file format). Seats per session are limited. Please email yours truly to reserve your seats.